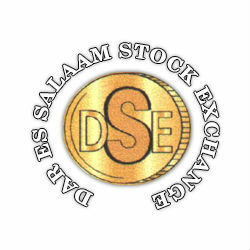 Swala Oil And Gas Tanzania Plc, subsidiary of Australian Swala Energy Limited, was authorised by Tanzanian Capital Markets and Securities Authority (CMSA) to list at Dar Es Salaam Stock Exchange (DSE) Enterprise Growth Market (EGM). Swala Tanzania will offer to the public up to 9.6 million shares at TZS 500 per share and hope to raise up to TZS 4.8 billion. The Initial Pubblic offering (IPO) will start on Monday 9th June 2014 and close on Friday 4th July 2014. Swala Tanzania is an oil and gas exploration company with interests in two licences in Tanzania: of Kilosa-Kilombero and Pangani. In addition to Tanzania, Swala Energy currently holds a number of exploration licenses of assets and subsidiary companies in Sub-Saharan Africa, including Kenya and Zambia. According to Ernest Massawe, Non-Executive Chairman of Swala Oil And Gas Tanzania: “ Tanzania has seen considerable increase in demand for access by international oil exploration companies in recent times. The directors [of Swala] believe that following completion of the offer, Swala will be well positioned to take advantage of this heightened interest”. Swala Oil And Gas Tanzania is a public company incorporated in July 2011. Swala Energy owns 65.13% of the company while the rest of the shares are held by Ercon Holdings and other investors.